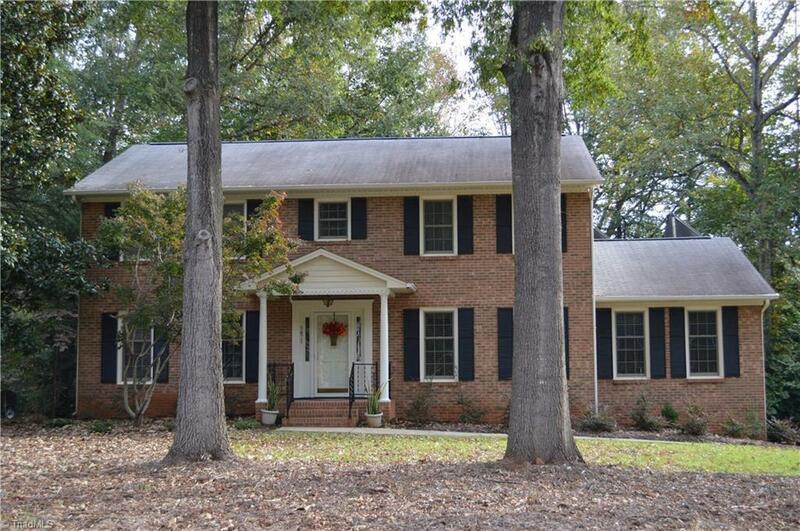 Well maintained/loved home in desirable Clemmons West. Updates incl kitchen renovation, granite, cabinets replaced, Anderson windows, bathroom renovations, popcorn ceilings removed, paint/carpet past 4 years, and more! Beautiful parquet wood floors, screened porch, 16x33 detached garage w 12' door, wired for 220 for RV, boat, or workshop, etc. ; flat, wide driveway, corner lot, both streets no through traffic. Close to Tanglewood, hwy, retail, schools. Basement sq. ft. under 7'. Fixture Exception Description: Small Radio Mounted Under Kitchen Counter, Does Not Convey.